Welcome in the fascinating world of the IVF centre. As an integral part of the Jan Palfijn hospital, our IVF centre has established a solid reputation throughout Europe in the application of state-of-the art fertility techniques. More than thousand IVF treatments are launched each year. Couples who wish to fulfil their child wish will receive the necessary medical expertise, a friendly welcome and a personalised, appropriate follow-up care from our centre. 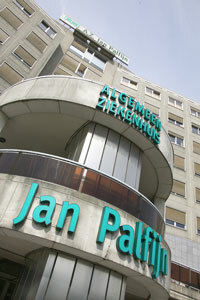 Patients from all over the world are fluently welcomed in Dutch, French, English, German and Turkish. For Spanish and Italian we will provide an interpreter. Each couple that considers entering into a fertility treatment programme will undoubtedly have many questions. That is why we take you on an exploratory journey behind the scenes of the IVF centre by offering this stage by stage guide which will inform you on our working method. Should you have any further questions, please do not hesitate to contact us by completing the contact form.